VTR CORP has been designing, engineering, and manufacturing collision avoidance products for over a decade. We pioneered the first personal watercraft deceleration warning light in 2004 and went on to design systems for Boats; Motorcycles; Trailers; Trucks; Buses; RVs and other motor vehicles. Our mission has remained over the years; we help protect against unnecessary tragedy. The one thing you can’t control in traffic is the person driving behind you. 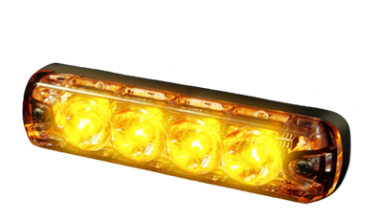 With so many drivers using their phone while driving, our Deceleration Warning Lamps provide an excellent defense for you and your vehicle. Although we started many years before “smart phones” and “texting” became popular, we realize our beloved phones will remain an enormous distraction to driving. Our product has proven to reduce collisions up to 80%, a fact of which we’re very proud. 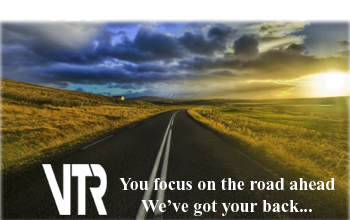 Today, our systems are in use by many trucking companies, power companies, law enforcement agencies, school districts, trailer manufacturers and service centers. And we continue to grow our OEM & fleet customers. In addition to personal injuries or worse, our customers realize enormous savings due to collision damage; delayed deliveries or damaged goods; vehicle down time; prevented insurance deductibles & claims; potential lawsuits, and other related expenses. Our product can be relied upon to help provide protection each and every day, without fail. Our lamps are built here in the USA to the highest of standards. We back each one with an unconditional Five-Year Replacement Warranty. VTRcorp was founded by Todd Bootes. Todd had 20 years of new product development experience as founder of PWC Industries Inc., had extensive background in mechanical, electrical engineering, printed circuit board layout and design, radio frequency control devices, power management IC component analysis. He was Vice President, R&D Director for Nikkos LLC and Hobby Dynamics Inc.
Todd was an avid pilot of remote-controlled fixed wing aircraft and helicopters for over 30 years, including the construction of all electrical, mechanical and power systems. Todd had 30 years experience in the marine industry, including propulsion, electrical and mechanicals. He was awarded several US Patents. Todd served as President and R&D Director of VTRcorp Inc. until his untimely passing in late 2018. He is sorely missed! Today, the VTRcorp Inc. is owned and operated by Verdelle Jahn, who previously served as Marketing and Customer Management Director. Her goal is to save lives (both human and animal), as well as save money due to lost cargo and downtime, through vehicle safety. And her passion is to accomplish her goal by promoting driver safety and the use of the VTRcorp Inc. Deceleration Warning Lamps.